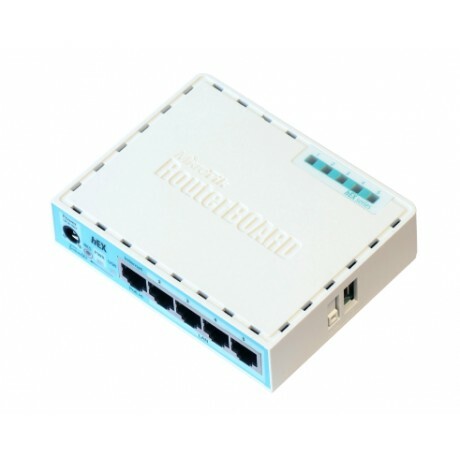 hEX is a five port gigabit ethernet router for locations where wireless connectivity is not required. The device has a USB 2.0 port. This new updated revision of the hEX brings several improvements in performance. It is affordable, small and easy to use, but at the same time comes with a very powerful dual core 880MHz CPU and 256MB RAM, capable of all the advanced configurations that RouterOS supports. IPsec Hardware encryption (~470Mbps) and dude server package is supported, microSD slot on it also provides improved r/w speed for database storage on microSD card. Piezīme: HTML netiek atbalstīts, lūdzu izmantojiet standarta tekstu!